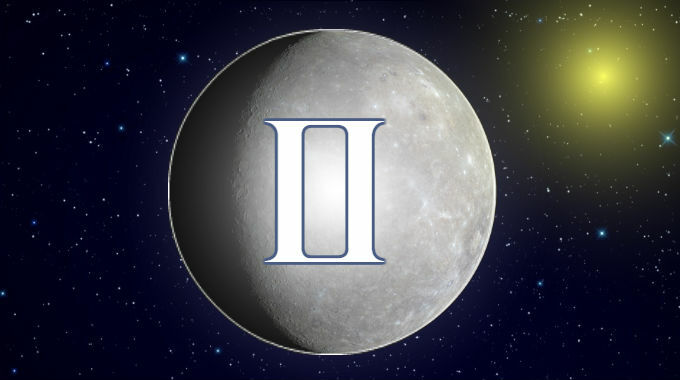 Mercury in Gemini is in a mutable air sign and is in its own element, so it is one of the signs where Mercury is most naturally itself. People with this placement tend to be quick, smart and fond of practical jokes. They’re masters of adaptation, disguise, mimicry and trickery, able to exploit loopholes and technicalities. They’re translators, programmers, comedians, journalists, lawyers, PR people, marketing people, speakers, go-betweens. While this all sounds good, people with Mercury in Gemini can be polarizing figures, the value of their skills largely dependent on the circumstances and perspectives of others. Sometimes they really are morally ambiguous. They’re probably tickled most by wordplay and puns. This is especially true if you were born with Gemini or Virgo rising. Whether you experience the better or worse significations of this position depends on Mercury’s relationship with the Sun and whether you were born during the day or at night, and the kind of aspects it makes with the other planets.